In British Columbia and Alberta, long distances, high fuel prices, and harsh elements are just some of the challenges that you and your truck face on the open highway. Don’t get caught without fuel again! 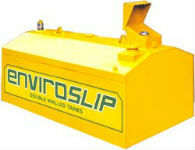 Take advantage of your truck’s full towing and hauling capacities with our transfer tank, pump & combination tool boxes. Interior Offroad Equipment (IOR) has been in business since 1974. We are always adding new lines and new products to our inventory in order to keep our clients happy and equipped with the best products on the market. Our team of experts can provide professional advice you can rely on. For all your needs when it comes to transfer tank, pump & combination tool boxes in Edmonton, Prince George and the surrounding areas, contact the local experts at IOR.